Happy Needle and Thread Thursday, friends! I have actually finished the quilt I shared last week, but I don't have photos to share just yet. We have been gripped with bitterly cold temperatures and a couple of rounds of ice and snow lately. I do love a quilt against a snowy backdrop, but by the time I actually finished the quilt, the snow in my backyard had already been tromped though and gathered into snowballs. Fun for my wild thing and his friends, but doesn't make for a very pretty picture. Instead, we'll get right to the highlights from last week's party. This snowflake quilt by Laura at Slice of Pi Quilts is just perfect for this blustery weather, and she even has notes on her method for making it. Alison at Little Bunny Quilts shared this beautiful Twinkle quilt. 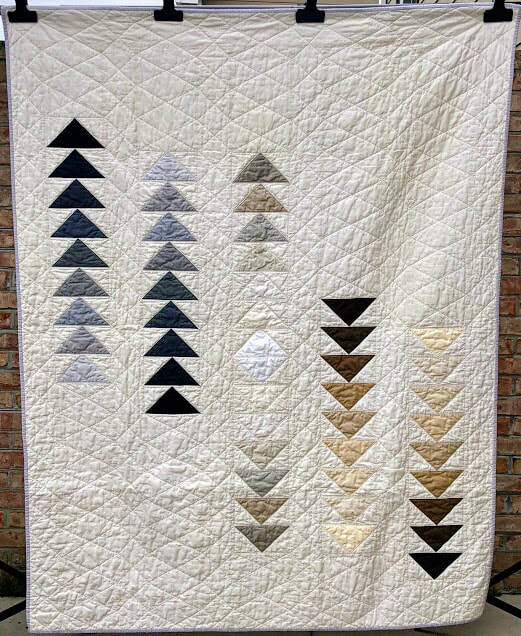 and finally, Sarah at Quilt Moderne shared this crisp, modern flying geese quilt. I love the way she used a range of neutrals in this quilt. Okay, y'all! I know that much of the US is dealing with winter weather right now, and I hope you're all staying warm and getting tons of sewing time. Let's party! I'm looking forward the the warm up in the next few days! 40 degree's never looked to good! 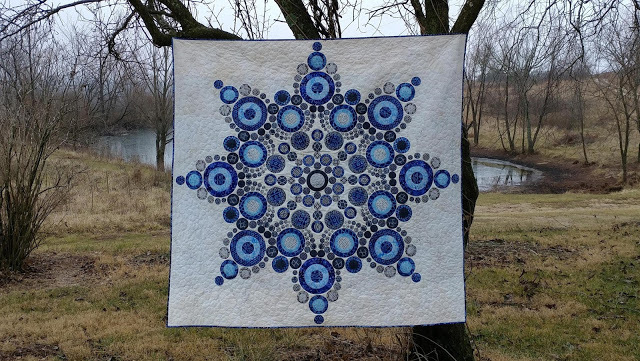 Thank you for featuring my snowflake quilt, Kelly! Congratulations on your finish, Kelly -- I'm looking forward to seeing it! We're on our second snow day here in Charlotte, NC. It's a good thing because one of my sons has the flu and it's exam week, so if school is canceled due to snow he won't be as far behind when he goes back. What I'm really loving is the beautiful white sunlight reflected off the snow, streaming in through my studio windows. That's my favorite light, and in North Carolina I only get that maybe once a year! 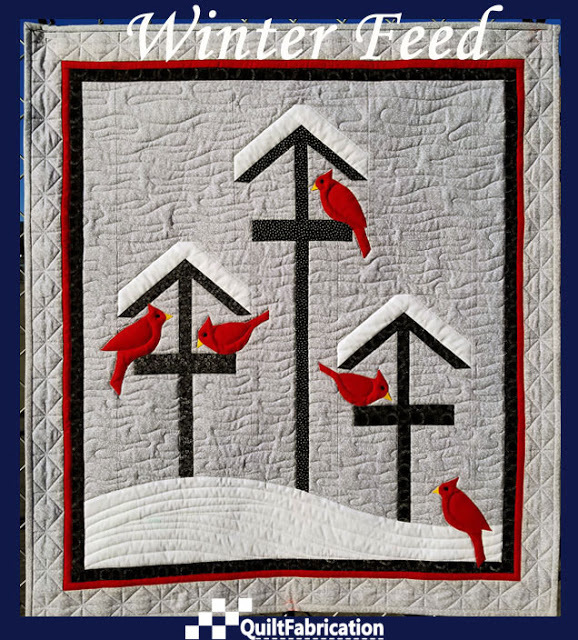 Kelly - thank you for featuring my Winter Feed cardinal quilt! I'm enjoying looking at it every day! We finally got snow this week. I am not happy! Hurry up Spring!!!!!! Isn't finishing a quilt the best...even if you don't get to take pictures. You picked some gorgeous quilts to feature. Wow, for every one!